This Sea Salt began the dream of flavored Salts. 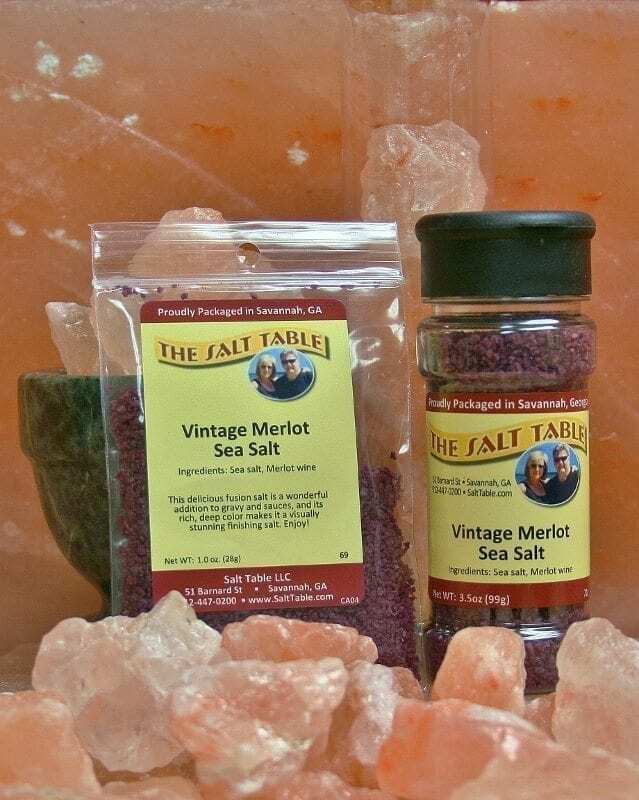 The delicious final product is a wonderful addition to gravy and sauces, and its rich, deep color makes it a visually stunning finishing Salt. It also serves as further proof that many great ideas form over a glass of wine. It excels in marinara sauces, steak rubs and salad dressings. Ingredients: All natural sea salt, Merlot wine.